ALL-GOLD CROWN: this crown offer maximum strength. 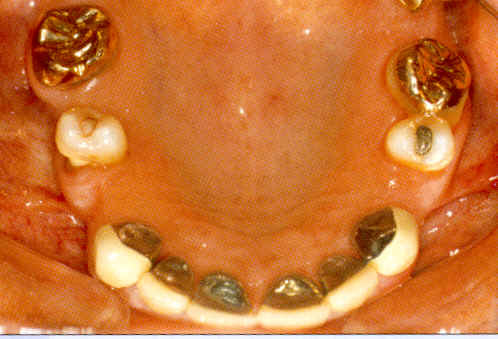 Some patients do not like the yellow gold colour in their mouths. PORCELAIN BONDED TO METAL CROWN: this crown is supremely strong. 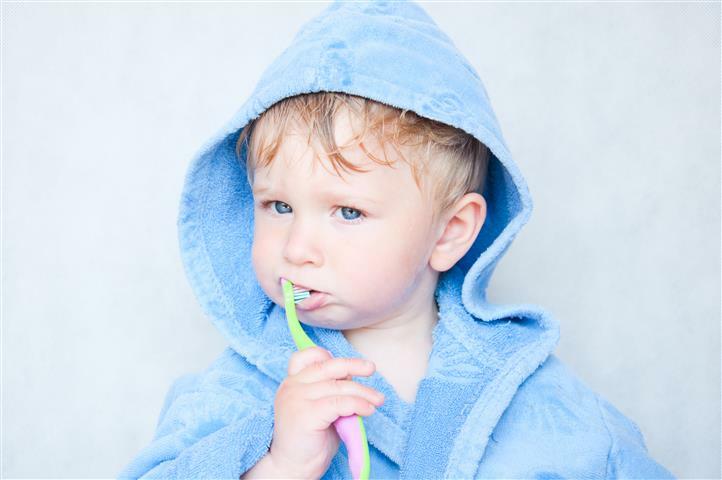 The advantage of the porcelain bonded crown is that it gives a more natural appearance. The picture above shows gold crowns and porcelain bonded to metal crowns. The metal backing on the crown is not normally seen. The crowned teeth will look like natural teeth. ALL PORCELAIN CROWN: not as strong as the above but ‘All Porcelain’ crowns can have better aesthetics. 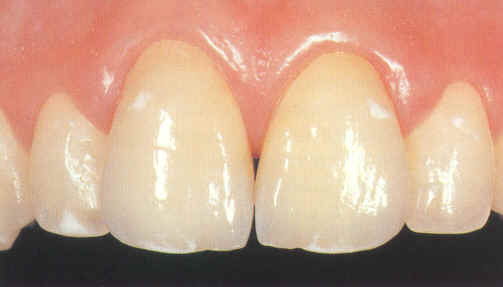 EMPRESS CROWNS: a supremely strong porcelain that is further supported by chemically bonding to the tooth. PORCELAIN BONDED TO GOLD CROWN: rather than using the normal silver-coloured metal we can use a yellow gold under the porcelain which can give a more natural appearance. LAVA CROWN: This uses a milled zirconium subframe to provide the aesthetics and translucency of an all ceramic crown whist having optimum strength. If you feel that aesthetics and appearance are very important to you then please ask and we will advise.